Once again, House Speaker Nancy Pelosi showed everyone how it’s done. Can we finally retire the narratives against Nancy Pelosi? You remember the ones — they come up every election season. 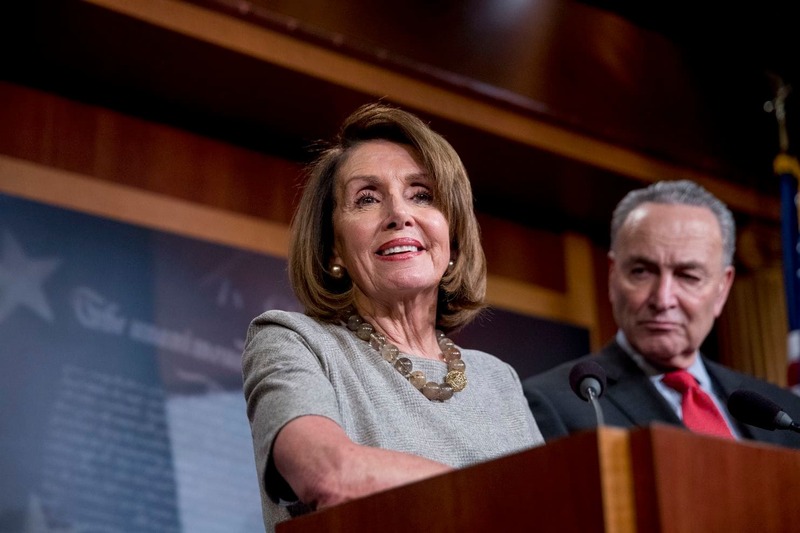 They’re false, they’re unfair, and after Pelosi stood her ground against Donald Trump, they should be put to bed once and for all. She can’t be effective. Excuse me, but who led the fight for the Affordable Care Act, the type of health care legislation that Democrats had tried to enact for over 50 years? There were endless hearings about health care throughout 2009, and the original legislation kept getting pared down. When Democrats lost a Massachusetts Senate seat in January 2009, losing a cloture-proof majority, some Democrats were ready to throw in the towel. Even Rahm Emanuel, chief of staff to President Obama, wanted to focus on a piecemeal approach. It was Pelosi who insisted: “We don’t say a state that already has health care should determine whether the rest of the country should. We will get the job done. I’m very confident. I’ve always been confident.” And it passed. She represents “San Francisco values.” Every election season, Republicans are likely to run ads about and show photos of Pelosi in local House races, telling voters that voting for a Democrat will put the evil Nancy Pelosi back in power. The GOP really revved it up this time. Of course, Republican operatives hoped that voters would think that “San Francisco values” would translate to evil, tax-and-spend liberalism. Pelosi raised money and worked for Democratic candidates all around the country. And the Democrats flipped 40 seats. Sounds like those values are working fine. She’s too old. This comes up every election, driven more by the media than anyone actually running. The Atlantic suggested that having a speaker as old as Pelosi (she’s 78) was the reason that that young, talented Democrats were fleeing the House. Um, hello? Alexandria Ocasio-Cortez, a New York Democrat who voted for Pelosi for speaker, is now the youngest House member in history. Trump found his wall, and her name is Nancy Pelosi. As a woman who will be signing up for Medicare myself before too long, I always roll my eyes at the ageism attack. Women of a certain age know more than anyone else about the bias against middle-age and older women — try applying for a job if you’re over 55. But we’re the ones who get the job done. It does no good to support a young leader like Ocasio-Cortez now if we intend to drop her the second she gets her first gray hair. … Movements cannot progress if they cannot remember where they started, and when feminist movements eat their elders, we condemn ourselves to be forever running in circles. Nancy Pelosi is old. Every young woman will be old someday, God willing. We can only hope that by the time we get there, being old is no longer a reason to throw us away. Thank goodness that enough people remembered that lesson to value the experience of leadership. And some are learning it all over again.